There’s nothing like a true southern belle. 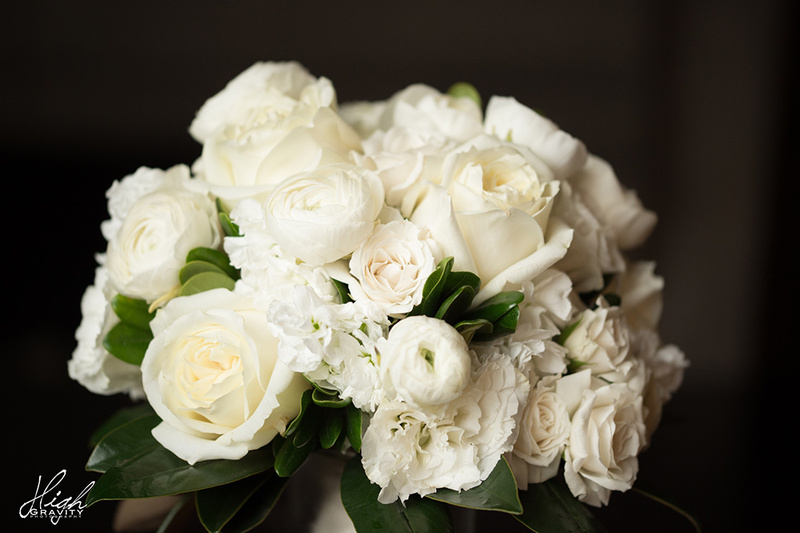 When a bride tells us magnolias are in the vision, we are “gung-ho!” We featured magnolia leaves with ivory roses and spray roses, white hydrangea, white tulips and white lisianthus to create a classic, clean and southern look. 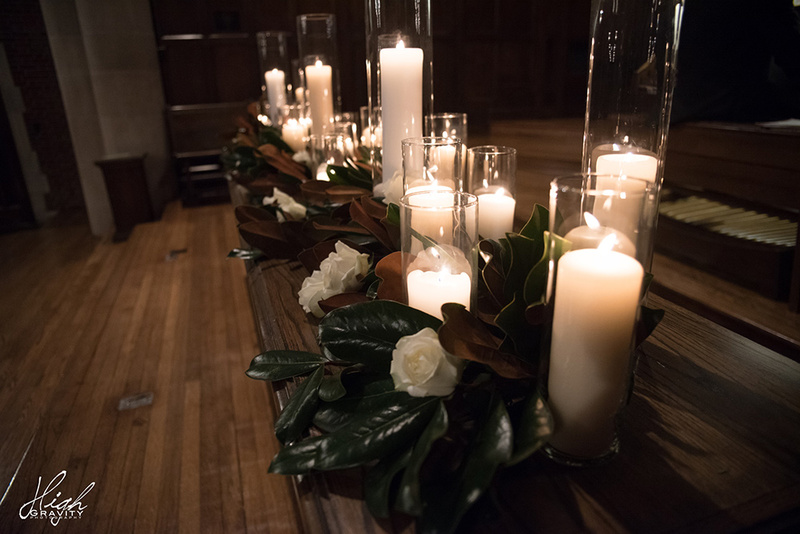 Held at the beautiful Scarritt Bennett chapel, this couple said “I Do” at the most intimate and heartfelt ceremony. 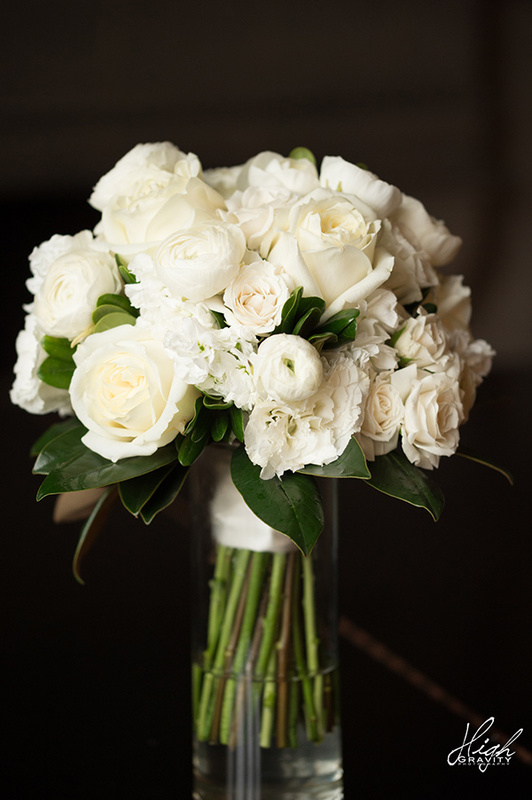 The bride opted for a traditional white bouquet, filled with white ranunculus, roses and hydrangeas and magnolia leaves. She was the true belle of the ball, and her personalized touches were fit for a fairytale. The reception was held at Hutton Hotel, which made the perfect setting for an elegant celebration.